All students need to refer to the meaning of terms and abbreviations during their learning process. 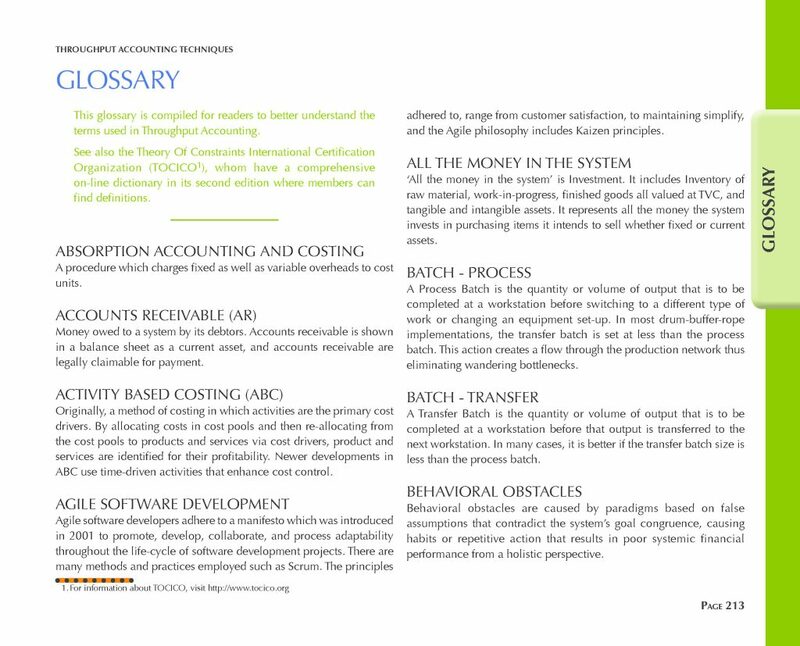 A great deal of effort was made in Throughput Accounting Techniques Glossary and Index to have a glossary that contains clear definitions of what the terminology means. The Throughput Accounting Techniques Glossary and Index enables fast and easy referencing. When looking for the location where a term is discussed in the book, is an important part of learning and referencing processes. 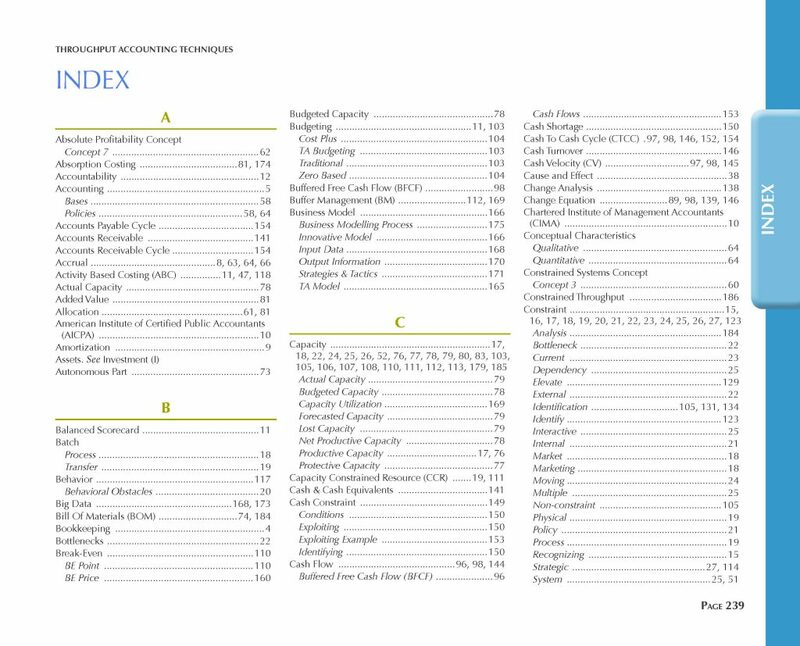 The Index of Throughput Accounting Techniques has been designed for speedy referencing. Happy referencing!